tags: Based on a true story and best selling novel. At the end of WW2, a German POW doing hard labor in the Soviet Gulag escapes from his Siberian camp to return to Germany but he's pursued by a Soviet NKVD officer. As prisoner of war Clemens Forell, a German soldier during WW II, is sentenced to a labor camp in far east Siberia. After four years working in the mines he escapes from the camp (in 1949) and tries to get home to his wife and children. For three years he journeys through Siberia. An odyssey of 14,000 kilometers, set against a backdrop of desolate and inhospitable landscape, beset by danger (from both animals and humans). Constantly battling the worst nature can throw at him, Forell makes his way, step by step towards Prussia and the longed-for freedom. Sometimes riding on trains, sometimes by boat, mostly on foot, he never knows if his next step won't be his last. His prosecutor Kamenev is always right behind him, and more than once it seems that Forell is captured again... When we rented this movie I actually hoped it would be a bit more realistic and not a "romantical" version showing the Germans during World-War II as far "nicer" than they actually were. It is interesting to see that there's so far not been many or any negative comments regarding this movie in this forum but that is most likely because people have started to forget the horrors of the holocaust; and who actually inflicted so much pain on the World. I.e. the Germans of the 30-40s. Considering the realities of World-War II I must admit I find the movie very hard to stomach, and even harder to feel any sympathy with the suffering Germans. The movie itself might have been better if it had not been so damn "sound-of-music" style with all the innocent little German children waiting for their "kind" father to return to the perfect obviously Southern Germany ex-Fatherland. That someone actually "enjoys" this movie just shows that people forgive far too quickly and forget even more quickly. 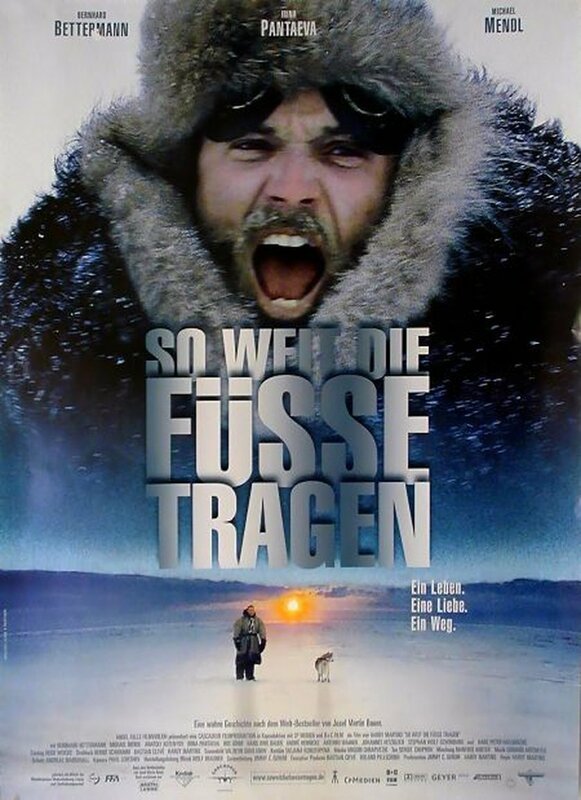 An entertaining film about Clemens Forell, one of the very few people that manage to successfully escape from the Gulag. A German soldier in World War II, Forell was made prisoner and sentenced after the war to 25 years in a labor camp in the most remote patch of Siberia, near the Bering Strait, north of the Arctic Circle. Amazingly, he not only escaped the camp but made it all the way from there to Iran mostly on foot (if you don't understand why this is an amazing feat, you can look at a map). The film is more sentimental and melodramatic than it should be, but is still a worthy and entertaining movie, even if at more than two and a half hours is a bit long. One of my favorite parts is when after escaping from the camp he joins a couple of gold prospectors (the no-good prospectors seem almost out of a Western) and they sail through a remote uninhabited river that crosses beautiful conifer forests (that part of the movie, though, was apparently filmed not in Siberia but in Belarus). 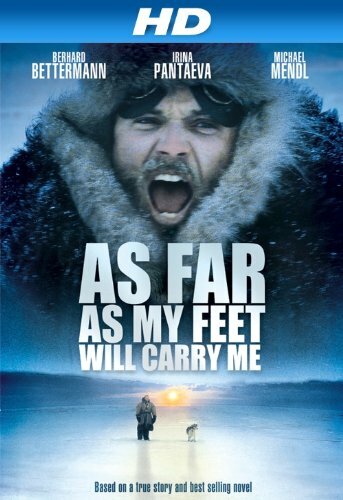 Even though the movie is based on a real story, some scenes shown here are hard to swallow, like the idea that the camp commander in Siberia followed him all the way to the Iranian frontier only to let him go at the international bridge. My guess is that while the main story is true, the filmmakers embellish it quite a lot. Few known actors in the movie (at least to me), though I recognized Andre Hennicke and Michael Mendl, who played Generals Wilhelm Mohnke and Helmuth Wiedling in Downfall. Also, beautiful international model Irina Pantaeva (who is originally a Buryat, a Buddhist ethnic group in Southern Siberia) plays one of the Chuckchis that shelter Forell for some time after he escaped from the camp (another good section of the movie). Hennicke plays a fellow prisoner while Mendl, even though he is a German is one of the camp doctors (why he was allowed that role is never explained). Some viewers might object that the movie shows the Soviet guards brutality toward the German prisoners, while not explaining that the German soldiers during the war probably engaged in far worse atrocities. Up to a point, this is a fair objection. But one should be mindful that a movie dramatizes a part of reality (whether is based in a real incident or not) and is not necessarily a newspaper article trying to cover all points of view.